Yesterday Google held the hardware event named Made By Google, the event that everyone is eagerly waiting for. Google had many new things to offer which gives us the idea of company’s plans for the future. Google announced the all new Pixel smartphones, unlike the previous Nexus phones the Pixel phones are entirely made by Google and also comes up with the Google branding which suggests Google is serious about taking on the iPhone. Google even made fun of the new iPhones in the Pixel’s introduction video saying the Pixel features a “3.5mm headphone jack satisfyingly not new”. Apart from the new smartphones Google also unveiled the new Virtual Reality headset named Daydream View, Google Home’s price and availability and a brand new Google WiFi router. What makes the new Pixel smartphones different than the other Android flagship phones is the integration of the Google’s new assistant and Daydream into the core of the operating system. Google said the camera of the Pixel phones is the best mobile phone camera anyone has ever created. The Pixel smartphones follow a new design philosophy. They look more like the iPhones than the upgraded Nexus phones. Some noticeable changes are the new antenna lines and that giant glass back panel. 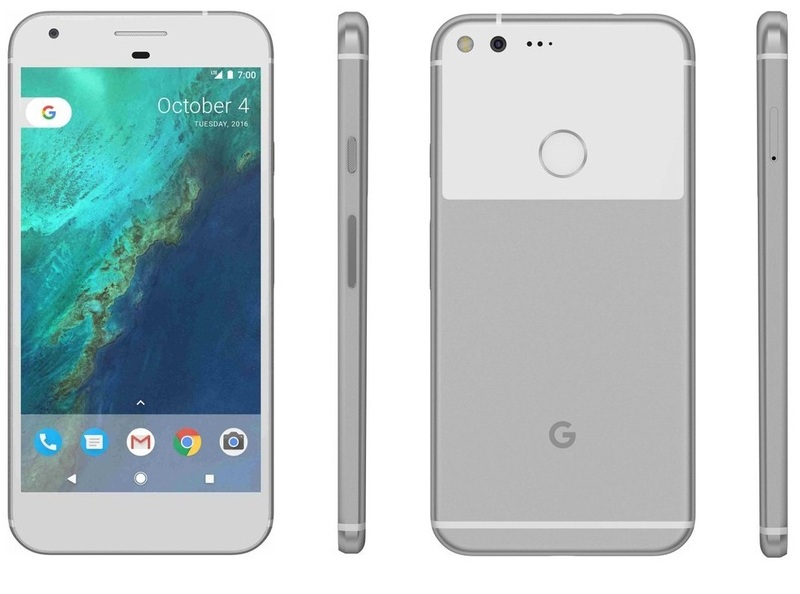 The unlock Google Pixel is starting at $649 and is available for pre-order today in US, UK, Australia and Germany. For more details about the new Pixel smartphones Click Here. Google also unveiled the new brand new virtual reality headset design for Daydream, Google is calling it the Daydream View. Unlike the other VR headset the Daydream View doesn’t look like a chunky piece of plastic, Google said when they were designing the Daydream View they didn’t want to make a piece of gadget they wanted to build the product that the people will like to wear, they took inspiration from fabric and the clothes we wear in our day to day life.Which is something that first time someone has ever done. The Daydream View comes up with a corresponding controller which will allow the users to interact with objects in the virtual reality. Google showed a demo of the new Fantastic Beasts and where to find them a game where the operator is using the controller as a wand. Google said the new controller is so accurate and sensitive that you can write with it. The Daydream View also features a loop container for the new remote so when you are not using it you can just put the controller inside the headset. The Daydream View and the controller is available at $69 as a bundle. Google announced the Google Home back in the Google I/O event, think of it like as an assistant for your home. Artificial Intelligence, Machine learning, and the digital Assistant was the main topic in yesterday’s Google event. Google Home will interact with your smart home appliances and will control those appliances as you command it. Google Home is priced at $129 and is available for pre-order, It will come up with 6 months of free YouTube Red subscription. Google announced the new updated version of the Google Chromecast. The Chromecast Ultra now supports 4K UHD video streaming, HDR 10 and Dolby vision for much better experience. The new Chromecast Ultra is 1.8x faster than the previous version. The Chromecast Ultra is priced at $69 and it will go on sale this November. Google also announced its rumored WiFi router and Google is calling it, well Google WiFi (duh). The new WiFi router comes up with some great feature like mesh networking that allows the addition of other Google Wi-Fi routers for better connectivity, Networks assist for better switching performance. It also comes up with a Google WiFi app, which will allow you to manage your networks and even control or pause the network connection for certain connected devices. Google WiFi router will go on sale later this year and is priced at $129 for a single unit and $299 for a pack of three. Google has launched a whole new echo system at yesterday’s event, which means Google is very serious about taking on the iPhones. The company even provide a switching dock which will help you switch from iPhone to the brand new Pixel smartphones made by Google. Google is planning to be the next big thing in the hardware market, let’s see how it goes.